Home > The Digital Revolution > Digital or Film? Photographers are not generally speaking, confrontational people. Photography is not a pastime or occupation in which you are likely to find yourself in too many arguments, but there is one question that has enthusiasts around the world clenching their fists and gritting their teeth: digital or film? The advent of publicly available digital photography has revolutionised the world of photography. It is not an understatement to say that there has been no larger development in this field since the invention of the camera. However, not everyone has embraced it with the open arms that have been shown by some. Many people, particularly enthusiast or art photographers, have vowed that they will stick with film for as long as is possible. For the amateur photographer, digital seems like a godsend. When in the early stages of learning to take good photographs, the number of wasted frames when shooting film is extraordinary, and can be extraordinarily expensive. This, of course, is not the case with digital; any frames that you don’t want to keep, you don’t have to keep. Aside from this, digital has the huge advantage of giving instant results. Again, when learning the art of photography it is an enormous bonus to be able to check on the differences made to your images by altering the aperture, shutter speed and so on. Many photographers today are almost as concerned with the ‘post-production’ of their images as they are with actually taken them. The field of digital art has grown enormously in recent years, in great part thanks to the fall in price of digital cameras. If you are interested in this side of photography, or think that you may wish to carry out any digital manipulation on your images, then film is probably not for you. 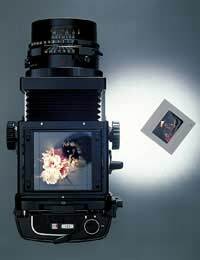 While it is certainly possible to scan negatives or slides the equipment to do so is expensive, and the process is considerably longer than plugging your camera or memory card into your computer. Film does, however, still have some characteristics which digital simply can’t match. While colour sensors in digital cameras get better every day, many photographers argue that black and white is something that film still does best. De-saturating digital images removes the colour, but the quality of good black and white film shot well is still very hard (many say impossible) to achieve without going back to analogue. Indeed, for some film fanatics it is the apparently positive characteristics of digital that put them off. Many have bemoaned the apparently ephemeral nature of the digital image, claiming that there is more intrinsic value in a physical film than there is in a digital frame that can be destroyed with a press of a button. Film photographers, however, often store every negative they have ever produced. Many would agree with the criticism, but for the amateur photographer to positives often outweigh the negatives: for those just starting out, the economic advantage of digital, coupled with the ability to see instantly how your actions are affecting the image make the decision an easy one in favour of digital.